Like many golfers, I used to have a Callaway Big Bertha in my bag. I had an original 9-degree Warbird driver for many seasons and loved it off the tee, and even off the fairway. Similarly, like many golfers today, I was eager to see the new generation of Big Bertha and specifically the Big Bertha Alpha driver. The Big Bertha name, the adjustability, the marketing, the Gravity Core, the low-spin concept, even Sir Isaac Newton's posthumous involvement had me curious. Excited may have been an understatement. As is the case with many drivers in today's market, to get a real feel for the driver and get the most from any testing, it is best to get fitted with an expert. So I went to the Callaway National Fitting Centre at the St Andrews Links Academy to go through the fitting process. The first thing to understand with the Big Bertha drivers is this: the name is about as far as the similarities go. In terms of looks, performance, appeal and features, the 2014 Big Bertha drivers are completely different to what golfers were used to with the original models of Big Bertha. 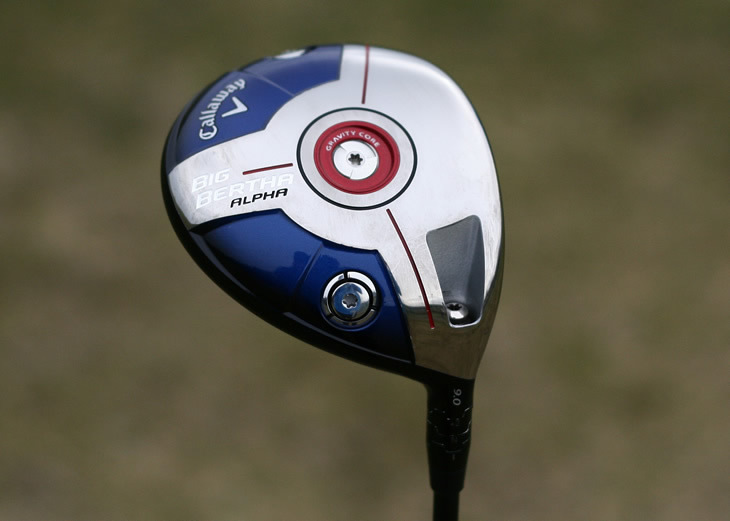 The idea Callaway had was to use the Big Bertha name to signal what they consider a major leap in innovation and Alpha is certainly worthy of the name. The look of modern drivers, especially at address, has advanced and varied vastly in recent seasons. Whilst the 'Captain America'-like sole design may be busy and full of technology and features, the Alpha's look at address was clean and simple with a traditional, slight pear-shape. 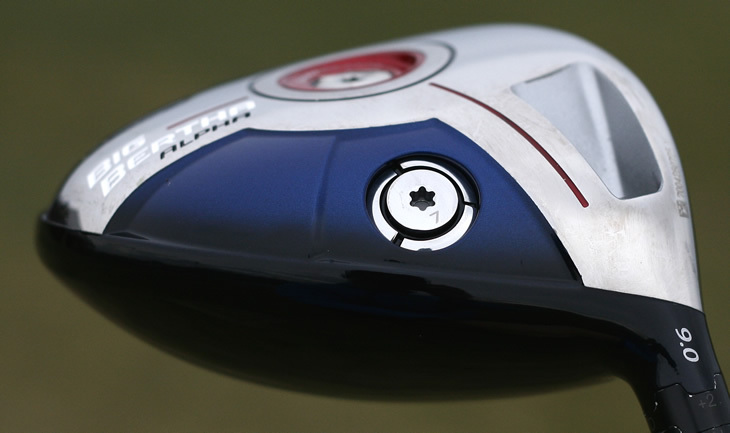 The colour is a subtle, dark blue, very reminiscent of the Steelhead ranges of Callaway clubs from the late 1990s. My initial reaction was to want to moan about the lack of alignment aid, something I have been used to in recent drivers. However, after hitting it over and over, I quickly forgot about that. The cleaner look almost forces you to focus more on the ball and the intended flight than whatever face graphics or alignment aid may be present. Another first impression I had was "is that really 460cc?" The traditional look (whatever that means these days) didn't appear as large some other full size drivers on the market. However Callaway assured me it is every cubic centimetre of 460cc. Perhaps the depth of the clubhead had me fooled at first. That depth of head and overall shape gives the Alpha its softer, low-spinning feel and sound. Having hit many drivers in the last couple of months, I was anticipating a loud 'crash' at impact, boasting to all those around me on the range that I was using the very latest technology. That was not the case. The feel was not harsh or loud, and seemed to mirror the low-spinning nature of the driver nicely. 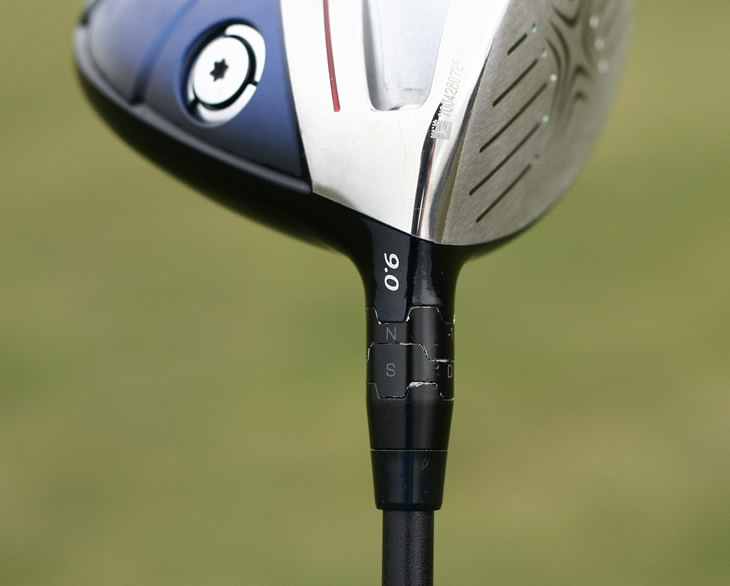 Beyond feel and looks, the Alpha's performance is dictated by four dimensions of adjustability. It is certainly designed for those players who like to tinker, whether that is in a fitting session before they buy or throughout the season as their swing and conditions change. So what are the four dimensions and how do they impact performance? Firstly, loft. To some it may be surprising that the Alpha is only available in 9-degrees (a 10.5-degree model available in the USA from April), but I never felt the need for more options. The adjustable hosel meant I could set up the Alpha anywhere from 8 to 11 degrees. Having tried a couple of lofts, I settled for 10 degrees. Along with loft, you can use the adjustable hosel to alter the face angle to either a draw or neutral bias. Like many players, I like the face of my driver to sit square, so I didn't fiddle with this setting. If you find that you are consistently striking the ball with an open face, you may want to try the draw setting. This photo shows the hosel set with a N (Neutral) loft adjustable and a S (Standard) face angle. The next level of adjustability comes in the form of two adjustable weight screws, positioned as standard with a 1-gram weight in the toe and a 7-gram weight in the heel. These can be adjusted to promote a left-to-right (heavier weight in the toe), or right-to-left (heavier weight in the heel) shot shape. Additional 3-gram and 5-gram weights are also available. I'd love to say that I didn't need to change these weights because I consistently hit a tight-draw, but that is not the case. I have a "two-way miss" meaning I have the potential to miss on both sides of the fairway. For that reason, it made sense to keep the weights in their original position, so as not to overly-favour one side. The last part of the adjustability and the most talked about feature of the Alpha driver is the Gravity Core. Much like the core of that infamous apple helped Newton discover gravity, Callaway's Gravity Core helped me discover extra yards. 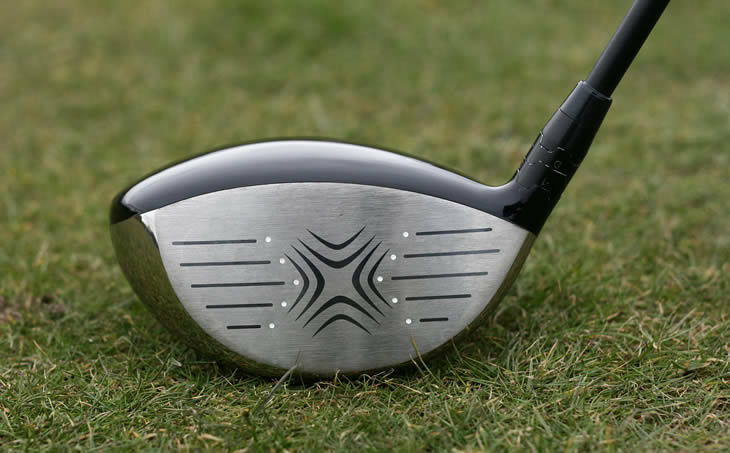 The idea is that depending on which way around you insert the metal tube into the sole of the driver, the spin rate can change as much as 600 to 700 RPM. Callaway say that it is a pretty even split on Tour between core-up and core-down, with around 60% of players choosing to insert it with the heavier end down. Callaway offered a couple of examples of the types of players and swings that suit core-up or core-down. They said someone like Phil Mickelson, who has a "steep" attack, tends to produce a lot of spin and thus uses the core down, to lower the spin rate. Alternatively, someone like Branden Grace who has a shallower swing and doesn't produce too much spin, needs to have the Gravity Core facing up to help add some spin and launch to his driver. I tried both configurations and my swing was suited to having the core down. I have a decent amount of swing speed of around 111 mph and a steep attack, so like Phil I tend to produce a lot of spin (that is the only similarity in our games). The Gravity Core alone helped lower my spin from around 3000 RPM to around 2700 RPM on average. That sounds small, but optimising my launch conditions made a noticeable difference in terms of distance and flight. The ball went further and didn't 'climb' as much as before. Whilst I was carrying the Alpha the same distance as my current driver, around 250 yards, I was able to lower my landing angle from 35 to 30 degrees, meaning the Alpha will run more and perform better in the wind. The standard Fubuki shaft, whilst strong and stiff, wasn't quite right for me. I was able to get decent numbers, but needed a low-spinning shaft with a little more "pop". Once we installed the Matrix Black Tie shaft, we were dancing (literally after some shots). Swing after swing Alpha produced a consistent, mid-height flight that never seemed to climb and produced good numbers: around 10 degrees of launch, 2700 RPM spin and 163mph ball speed. Those figures may not have me qualifying for the Tour anytime soon, but it was near-optimum for my swing. All in all, as much as I liked to be the one that said differently, the Alpha lived up to the hype. For my (high swing speed, high spin) swing, it did what it promised from a numbers point of view. 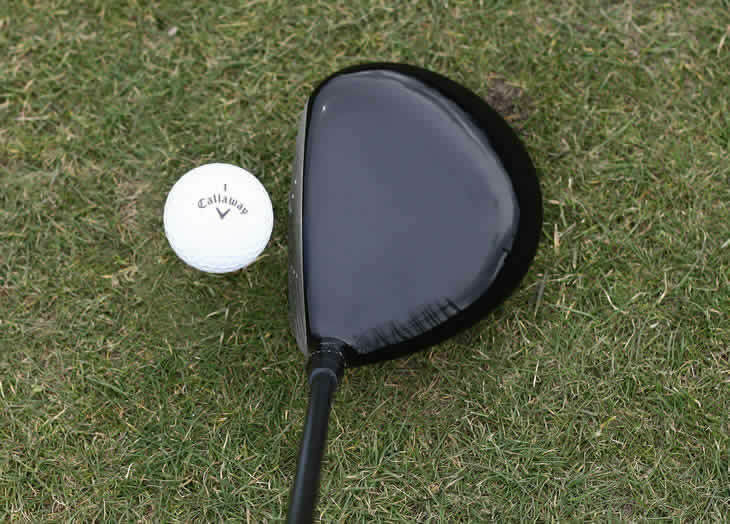 I grew to like the look of the driver with each shot I hit, and I was big fan of the feel and sound. 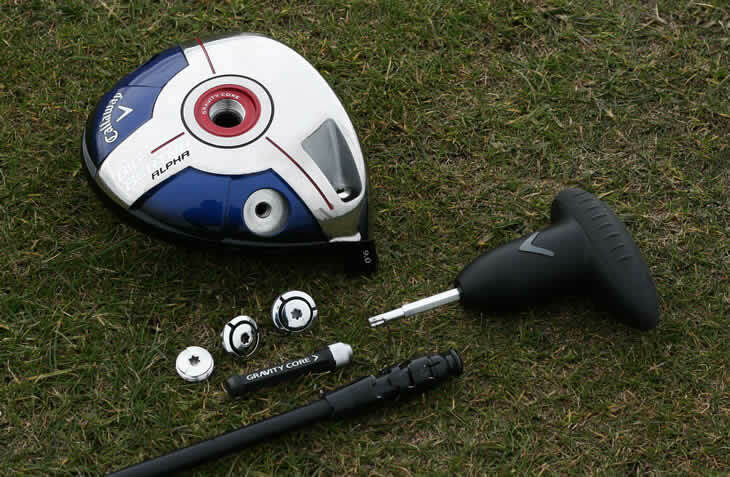 I would recommend this driver to better players especially and those who like to tinker and perhaps don't require the added forgiveness of the standard Callaway Big Bertha driver.